Here we will discuss the three business models of online marketplaces. 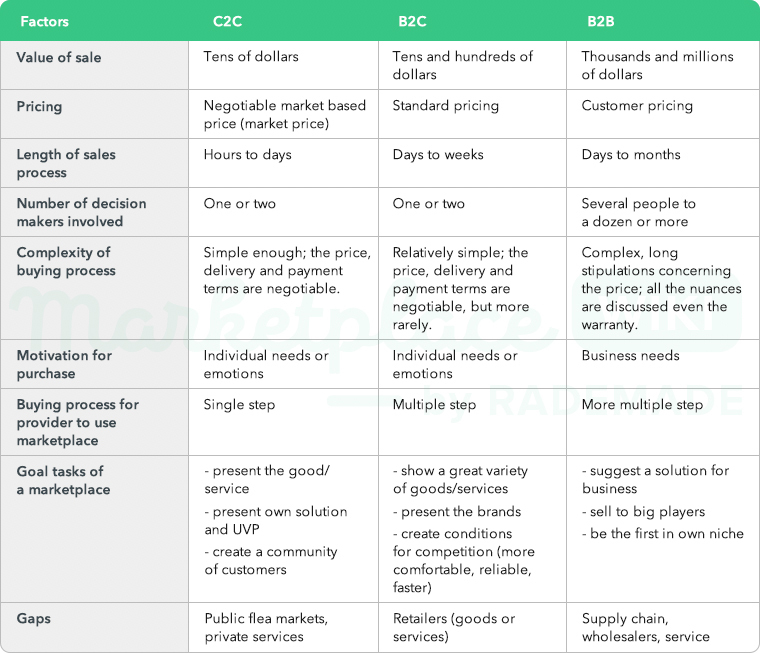 What is the difference between C2C, B2C, and B2B marketplaces? What is their specifics? What interaction is set among the participants? We can find out and compare the models in the summary table. Keeping in mind the interactions, it's easier to organize the process for both sides. C2C online platforms presume that all participants are equal. That's why this model is also called P2P: peer-to-peer, people-to-people or person-to-person. People who visit the e-marketplace are not entrepreneurs. They have similar interests, income, are about the same age, and go to the web platform to share something with others. change their roles — today they buy, tomorrow they sell. These three characteristics are applicable for all C2C marketplaces. To make it clearer, let's consider each characteristic in the examples. Online marketplaces C2C emerge in social spheres because everybody is desperate to save money. A good example of this is ridesharing platforms like the BlaBlaCar service. It helps drivers find companions and vice versa. One has a free seat in the car, the other has some money he is ready to pay for fuel. a passenger would pay more for the services of traditional transport operators. 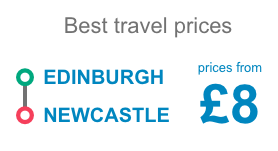 The website informs about the opportunity to save money on the main page. In other words, it is called a sharing economy meaning expenses are shared equally. Lyft, the parallel service of finding companions, promises that one can save up to 60% of the travel cost. Besides the thrifty travel, participants of the C2C exchange get other benefits ranging from meeting new people to increased mobility (time, route, and stops can always be discussed with the driver). Money is not the main argument for clients of the C2C marketplace. Here is an example: Couchsurfing, a web platform for travelers. Registered users can stay in any city for free whilst receiving a shelter for the night and also a hot dinner will be offered by the hosts. In spite of the colossal saving of money, this advantage takes second place. What is more important is to meet and talk to the local people and share their travel experience. 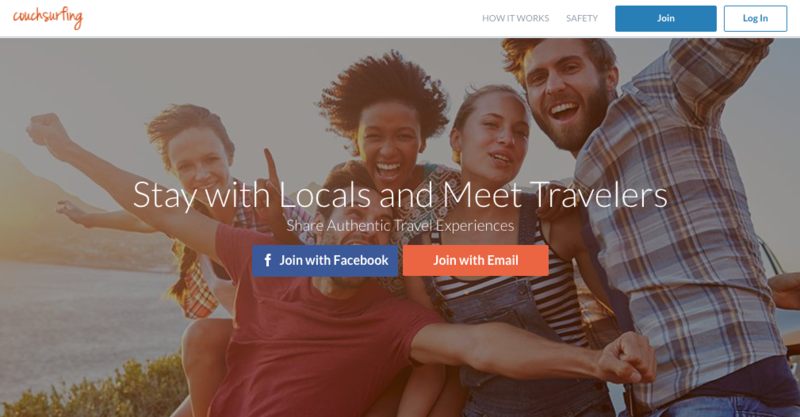 That's why the main page of the Internet platform does not mention saving money, it declares another UVP: Stay with Locals and Meet Travelers. All the C2C online marketplaces build hobby communities. For Couchsurfing, the common feature is travelling, for Etsy — handmade stuff, for DogVacay — love to pets. Users go to these web platforms because it is related to their hobbies, so they remain loyal to the service. Due to the fact that in the C2C business model everybody is equal, there is no strict divide between suggesting and making use of a service. Participants can be easily replaced, and it's important to learn how to use these specifics. 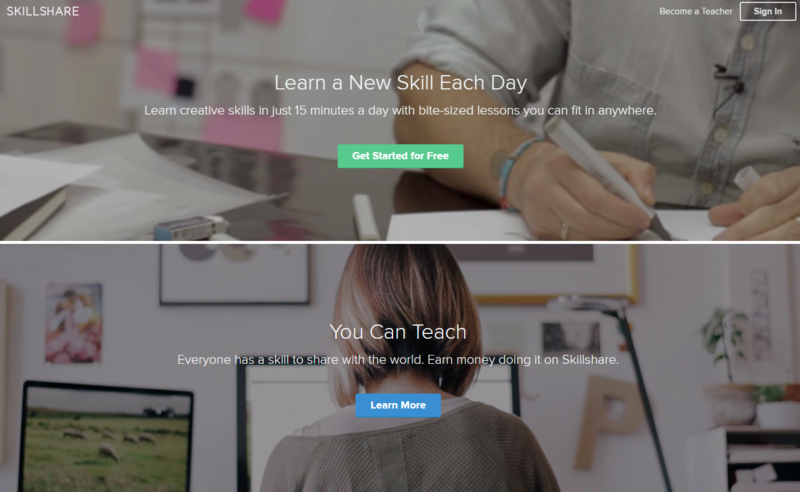 Here is an example: SkillShare, an e-marketplace that suggests studying online. Customers watch video lessons choosing a topic at their discretion. If one is an expert in some field, he can upload a video lesson to the website. A website that takes a similar approach is Preply, a marketplace where you can search for tutors. This service allows people to learn a foreign language and to teach a native language via Skype. This is the block from the BlaBlaCar website mentioned above: find a ride or offer one. What is important to remember about C2C online marketplaces? Their audience is rather “monotonic” — there is no strict distribution of roles, interests are common, for both participants of the deal the terms are beneficial. The B2C marketing model differs by involving business. Entrepreneurs and their customers interact with each other. Users stay not with hospitable home owners like on “couchsurfers”, but at hostels and hotels from BedandBreakfast or Booking.com. The advantage of such a platform is that there is a wide variety of commercial offers on one website. This is a “one stop shop”, a place to find everything you need. 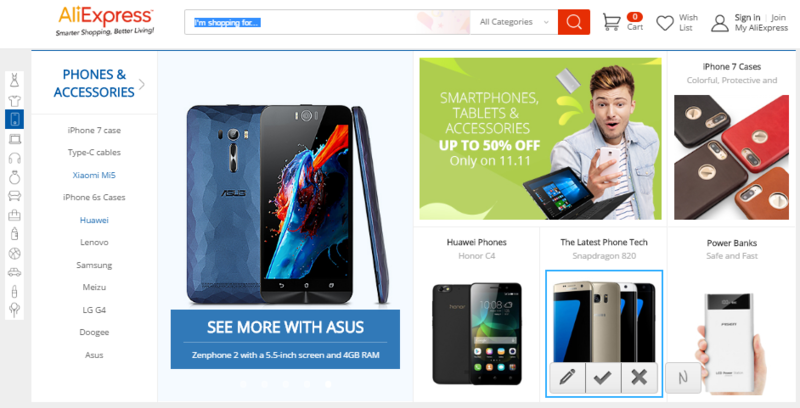 AliExpress, a huge online marketplace with many vendors offering their goods, work with the B2C model. The platform is being visited by more than 525 M users per month. They find offers from companies-producers: from clothes and household appliances to cars and bikes. On the website, each product is sold with its brand — the vendors’ side is obviously represented by its business. A lot of people come to the C2C Internet platform, and businessmen see that their target audience is on this market. Salesmen negotiate positioning of the goods on the marketplace, and the platform partly or completely turns to B2C. Private individuals (ordinary clients) earn a minimal revenue out of the deals and decide to keep developing their business. They become entrepreneurs. That's why on Airbnb, the website where you search for accommodations, one can see not only advertisements from private owners, but also from companies. The Etsy platform that was launched as an absolute C2C e-marketplace, contains goods also from companies-manufacturers. In the B2B segment, the business sells something to another business on beneficial terms. A good example of this segment is marketplace Alibaba, which allows entrepreneurs to buy in bulk. 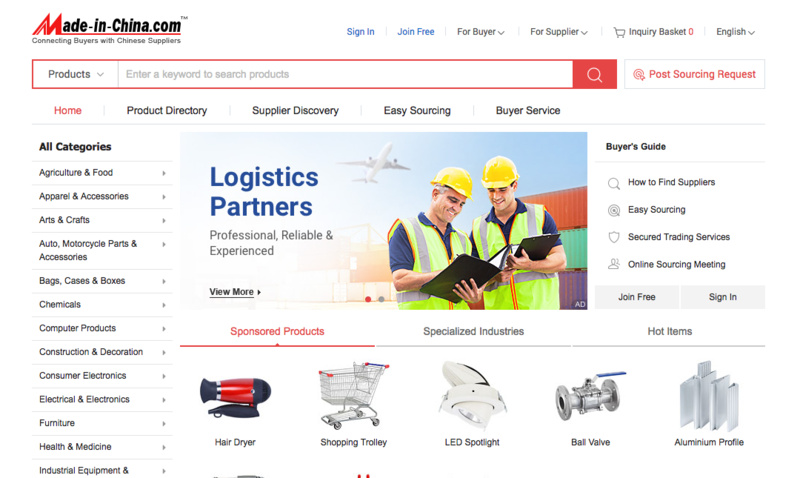 On the online marketplace, there are more than 40 categories of goods presented (electronics, equipment, etc.) Any entrepreneur can order wholesale. The B2B model proved the UVP of Made-in-China marketplace: Connecting Buyers with Chinese Suppliers. With the website, entrepreneurs are able to find a supplier in China. horizontal — suggest a service in different industries. And again, here is a parallel: a marketplace can stick to the B2C business model, but additionally create business proposals. The Booking.com e-marketplace lets users book rooms in hotels or hostels around the world. One side represents landlords (owners of hotels and apartments), and the other is people who travel or arrive to another city or country for some reason. And now take a look at BookingB2B, a sister project. The online technology of booking is optimised for those who work in tourism (tour operators, agents, transport agencies, etc.). All customers of the platform are small and big business owners. From one side, hotel and hostel owners are represented, from the other side — there are tour operators who want to save on booking accommodation and get wholesale discounts. Besides the variants mentioned above, there are also C2B models (customer to business). It can be a freelance exchange house where private specialists offer their services to different companies.